I have been sick with a sinus infection for the past week, so I have had plenty of time to watch a few movies. 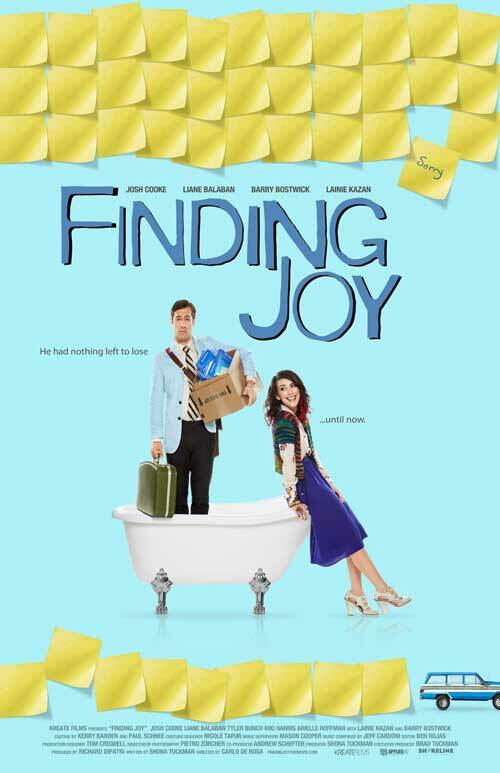 Today, I am going to post about a sweet movie called “Finding Joy.” It has some quirky, but lovable characters that for some reason or another I can relate with. The storyline: A self-absorbed writer, stuck in more ways than one, rediscovers himself, his offbeat family, and what it means to be happy when he meets Joy, a spirited young woman who asks him to write her obituary. -IMBD Even though it did not have high review ratings–I am of the opinion you watch a movie and make your own judgement. There is always something to take away!! I enjoyed the ride of up, down, dysfunction, lost characters, who in the end all help heal one another in more ways than one. If you are drawn to anything…move toward it: Like this movie, life has funny ways of bringing about serendipity. I was drawn to the title of this movie & I enjoyed the outcome. 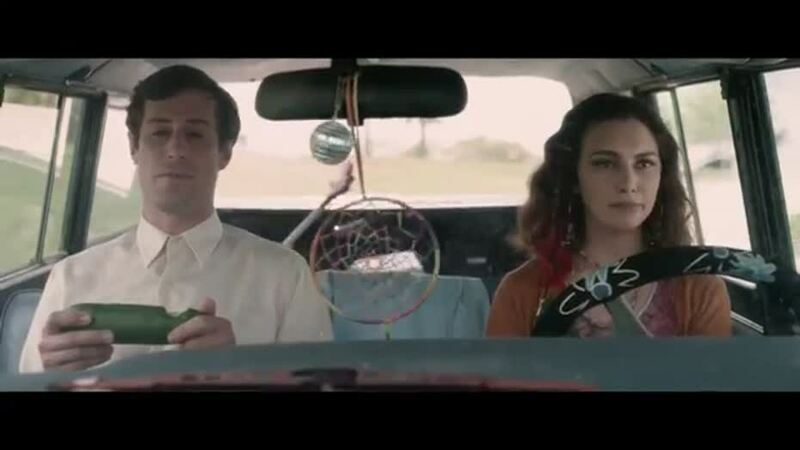 In the movie Kyle sees Joy & is drawn to her for some reason. He comes up with some crazy way to meet her, but in the end…serendipity!! Follow your heart. You can almost always find something good in so many things life has to offer. Just look between the stories & you will find the lessons, the sweets, the moments that you will always keep tucked away in your heart. Always have a plan B in life: Poor Kyle had a published book, was working on a up and coming deadline, but didnt have a plan to cover anything, so he ended up losing his apt, car…and moving back home. Everyone has dysfunction in the family–its how you handle it that matters: We all have crazy in-laws, odd brothers, dramatic sisters, kids that make us borderline nuts, but we live the stories with them, we hold their hands, we talk them off the ledge, we love them no matter what—that is one great thing about family. In the movie Kyle’s brother has a embarrassing problem that he is keeping from his wife. Kyle & his daughter find out & have to walk him through the reality of what is really going on & how to handle the situation. Unconditional love is the key in any situation. Romantic Rendezvous are always a good time: This movie had some very funny “Romantic Rendezvous” (dates) between Kyle & Joy. I loved the silly surprises Joy would come up with that in the end helped Kyle open up, see things differently & enjoy his time with Joy. Great Life Perspective: In the movie Joy asks Kyle “What would you do if you knew you were going to die?? Wouldnt it just shock you out of your comfort zone and just make you feel so alive?” Kyle replies, “I’m just trying to get through the living part right now.” This to me is so key for all of us. We go through the hum drum of normalcy, the daily grind, the regular schedules that run our lives. I think so many of us are “trying to get through living.” Ask yourself—what would you do differently if you knew there was a good chance you could die next week. [You never know. Someone will] Would you do some of the things you have saved up for “some day isle?” Would you begin to take more time with your family? Would you be a little kinder with yourself? With others? What truly INSPIRES you? In the movie Kyle is truly moved by Joy & wants more of her zest for life. She literally sends him into a frenzy of writing, he is so inspired by her that he cant stop. Is there anything in your life that moves you to take action? Do you have an idea that is waiting for you to help it bloom? Is there a forgotten talent that is yearning for you to break it free? What seems to light you up? What can you do at this moment to find a tiny piece of inspiration and follow it. 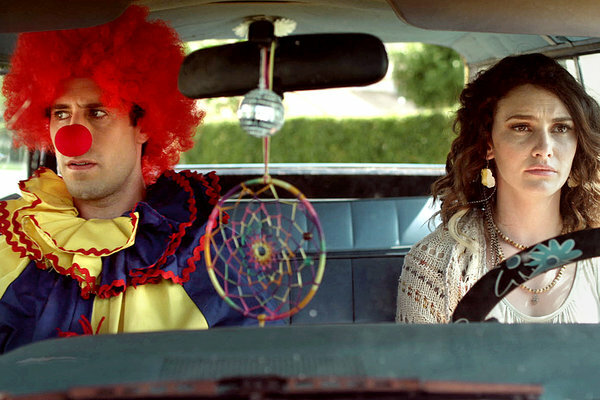 Break out of your ordinary: In the movie Joy helps Kyle try and break out of his comfort zone by having him wear a clown costume to deliver goods to needy people. Is there something you can do to step out of your ordinary…routine, wardrobe, seriousness, to do lists, schedules, etc. Halloween is a great time to do this!! October is a great time to take a little test drive & be someone else for an evening, a date night. I was just out with my daughter the other day on a Mommy/Missy afternoon. We hit a local thrift shop looking for some Halloween costume ideas. All the employees were dressed in kitty outfits & having fun with it. When we went to the register the young man checking us out wasn’t dressed up. I said, “Why aren’t you dressed up.” He smiled, “because they want me to.” I grinned, “What a great opportunity to be so many different characters. You could be a different person each day.” He replied, “I just got my fill of dressing up at the local Comic Con.” I laughed, “Well, then you have costumes you enjoy to wear. That’s perfect.” He smiled and politely agreed. Look for possible occasions to break out of your ordinary. Go out and try a new hair color, drive home a different way from work, look for a shop you have always wanted to go in and do it…there are so many small ways to break out of your ordinary. AND this Halloween don’t be lame—even though you are all grown up, have some fun, find that crazy persona of someone you would have fun being for an evening. Have fun with it!! Life is too short. When you tell someone your sorry make it great!! I wont give you the details, but in the movie he does a pretty great job!! Make your mark on the world: In the movie Joy wants to make her mark on the world so she makes Kyle break into a construction site with her & puts a little piece of herself in the concrete. I think in every single person there is a part of us that wants to make some mark—even a small, tiny mark on the world in some way. You see it all the time in public bathrooms—“Jane was here.” ha ha. Maybe you want to write that novel you have been dreaming up, maybe you want to be the best mother, maybe you want to produce a movie, maybe you want to create something…an organization, a charity, a business, an idea. You have dreams within you that are waiting patiently. Begin today to make some small step toward your different ideas. I believe if you are doing ANYTHING that you feel may touch even one soul in a good way—that is moving you toward making even one small difference in the world. The gift of a Living Funeral: In the movie Kyle decides he is going to create a living funeral for Joy, so she will want to live. I thought this was a cute idea to tell those who are living how much you love and appreciate them in your life. It doesn’t have to be on any grand scale, just take the time & make it a grand occasion! Make sure you whole heartedly put your genuine feelings into a card you read them, a letter you write them, an evening designed as a gift from you to those people you love. It was a great movie I would recommend. I didn’t give you all the details because I didn’t want to spoil the movie (I hope I didn’t), but its a cute, quirky ride of fun-loving characters that you fall in love with.